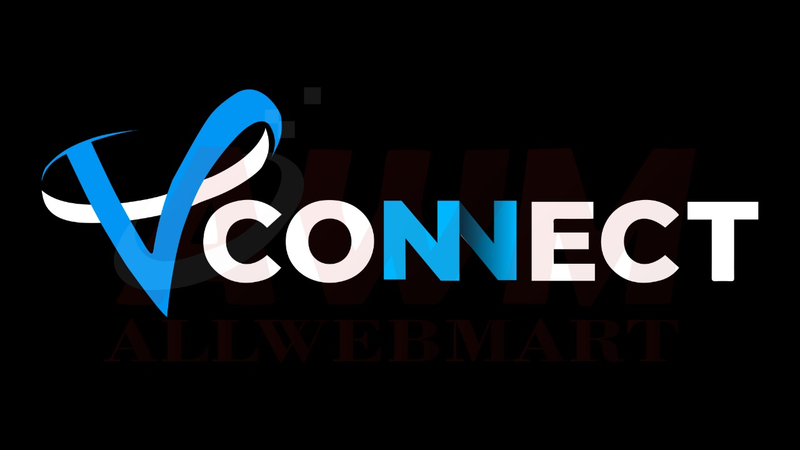 (u) "User", "You" and "Customer" refer to the individual or entity who avail of any Website product or services from v-connect.in; Other terms would have meaning as defined under Information Technology Act, 2000 and rules made thereunder. Acknowledgement - You agree that you as the person legally responsible for use of this account are at least 18 years of age. You agree to supply V-Connect.in with a current and truthful name, postal address and telephone number for our records, and you have a continued obligation to keep this information current. You also agree that you are an authorized user of any credit card that you supply to us and agree that we have an obligation to fully investigate any possible fraudulent credit card use. By placing, hiring and continuing to maintain or place information at V-Connect.in's servers you are stating and acknowledging that you have read the aforementioned terms and conditions and that you understand such terms and conditions and agree to be bound by them. We intend this to be the legal equivalent of your signature on a written contract, and equally binding. For any queries regarding terms of service, kindly mail us at abuse@v-connect.in. a) V-Connect services owned and operated by v-connect.in, Delhi is provided to you under the terms and conditions of this Agreement and any other operating rules or policies that may be published by us on the website from time to time. b) All the terms set here are presented in English language and it is the sole responsibility of Customer to understand these terms accurately in the language he understands. You must read, understand and agree with and accept all of the terms and conditions contained in these Terms, which include those terms and conditions expressly set out below and those incorporated by reference, before you use services or register at this website. c) You warrant that you as a Customer has independently evaluated the desirability of the service and is not relying on any representation agreement, guarantee or statement other than as set forth in this agreement. e) We strongly recommend that, as you read this Agreement, you also access and read the information contained in other pages/websites referred to in this document, as they may contain further terms and conditions that apply to you as a user/customer at this site. 3.1 We reserve the right to modify this Agreement at anytime by posting a new agreement on our site. 3.2 In case, any modification to the agreement is unacceptable to you, your only recourse will be to terminate this agreement. In case you continue to access any of our services after that time you will be deemed to have accepted any change. 3.3 Further, we reserve the right to change or discontinue sale of specific products or services or its prices, from time to time, which will be posted on the website. 4.1 The Initial Term for the Services shall commence on the Service Commencement Date. Customer acknowledges and accepts that the provision of Services by V-Connect shall be subject to a minimum service period of 1 year from the Service Commencement Date (“Minimum Service Period”). The Customer shall not be entitled to terminate this Agreement during the Minimum Service Period for any reasons whatsoever except for the sole reason as specified in this agreement herein-after. 4.2 On expiration of the Initial Term, the Renewal Term shall automatically commence upon the same terms and conditions mentioned in this Agreement, as may be existing as on date. 4.3 In the event a Party does not wish to extend/renew this Agreement after the expiry of the Initial Term or as the case may be a Renewal Term, that Party shall request for canceling of account in writing with at least 30 days notice but not more than 60 days prior written notice and by the Subscribers / Customers through the member control panel. Only the authorized account holder or an authorized contact may cancel the account. In the event of cancellation, customer will automatically be billed for any excess usage during the then-current calendar month. 5.1 If Customer makes requests for any change in the Services, and such change results in increased cost of any nature to V-Connect, or will require additional time for performance of V-Connect’s obligations, or if V-Connect is otherwise adversely affected by such change, the schedule, warranty, price and other terms and conditions of the purchase order and Agreement may be equitably adjusted by agreement of the Parties. In no event shall V-Connect be obligated to proceed with any change unless the foregoing adjustments have been agreed upon in writing by the Parties. 5.2 Notwithstanding the above, at any time and with prior consent of Customer in case of material changes, V-Connect reserves the right to make changes in design, construction, arrangement and provision of Services; provided such changes do not result in any increase in the price or time for performance or alter any performance guarantees or warranty obligations set forth herein. Customer shall not unreasonably withhold its consent in case of material changes. i) Request sent from registered email id - The client needs to send address and ID proof scan copy for cross verification of account ownership. The change in email ID can be immediately done if the address proof provided by the client matches with V-Connect.in's records for that particular client. ii) No access of registered email id - The client needs to send us an email mentioning the reason for the change in email ID. We further analyze the situation by sending the mail to the registered email ID for the requested change. We make the changes in email ID after getting positive response from registered email ID. We automatically make the changes if we don't get any response from registered email ID within next 48-72 hrs (mail sent time). iii) Though in terms of new ICANN regulations, any change in email ID for any gTLD domain name results in locking of the domain name for 60 days and which will not allow the transfer of the domain name to any other registrar. This locking safeguards the domain name from any cyber crime like domain theft. 6. Domain Name / Hosting, etc. A) Domain Registration - We are .IN Accredited Registrar with .IN Registry / Nixi and therefore you are additionally bound by the terms of .IN Registrars as provided upon https://registry.in/system/files/Terms_and_Conditions_for_Registrants_1.pdf and also any Domain Dispute procedures i.e. INDRP under which action can be taken by a Trademark holder against the Domain Registrant. Further, we discourage sale of .IN Domain Names over and above the normal price, by our resellers. Similarly for gTLDs you are responsible to comply and bound by various policies provided at www.icann.org. Further, in domain registration process, V-Connect.in may in certain exceptional circumstances may take 24-72 hours in completion of Domain Registration. Factors like holidays, internal processing factor and or more may affect the processing. You agree that V-Connect shall not be held responsible if your domain get registered by other third party, in the meantime. B) Domain Renewals - Domain Names are to be renewed every year and it is customer’s legal responsibility to keep track of the expiry dates. For the convenience, V-Connect.in may notify you about the expiry reminders through emails, but you should maintain the record at your end also and made payments in advance for timely renewals. C) Data Transfer - Due to time taken in the transfer process varying from Registrar to Registrar, no guarantee will be taken that how much amount of time it will take to transfer a domain. If the transfer of the domain is done by V-Connect.in on behalf of the account holder a handling fee may be incurred. If the customer cancels service during the transfer period for any reason, all charges are considered earned. A) In case of Reseller hosting, V-Connect.in will not entertain the end users issues / queries who are associated with specific reseller account. B) Addon Domain/Multi Domain is not permitted in Reseller Plans and clients will not be able to add any domain as add-on/multi-domain domain & they need to add it as new cpanel/plesk account. A) In complete website package you will get free domain name as long as you go with web hosting account for eg:- If you purchase hosting for 2 years you will get domain name free for 2 years. B) Some time system give you rights to select extra years for domain registration which not allowed. V-Connect.in forbids the use of unauthorized software or use of scripts or software runs on its servers that cause the server to load beyond a reasonable level, as determined by V-Connect.in. Third party script installation is at client's own risk. V-Connect.in will not be responsible for any data loss/ security issues that occur due to the third-party software that client install at their end or get them installed by V-Connect.in team. You agree that it shall use only authorized/ licensed software installed by V-Connect.in as per requirement of you. You will be directly responsible towards the Software provider so far as the software is related and V-Connect.in shall not be responsible in any manner either towards you or towards the Software provider regarding any dispute, claim or any difficulty related to the Software. No client shall change the server passwords without intimating us. In case, any client does it then he will be responsible for any downtime of server or services. No server logs can be provided by V-Connect.in to clients. In case, client has done the setup to manage server logs then only V-Connect.in's team can only assist the client in getting the logs.In case, a particular VPS/Dedicated server is consuming high bandwidth then clients are liable to pay as per the bandwidth usage. It is the client's liability to change the name servers. The propagation time for changes to reflect would be 48-72 hours and it can even exceed due to registry problems, ISP issues or technical factors whatsoever. The company in all such cases cannot and shall not be held liable to for changing of name servers or any delay associated with it. No complaint tickets in this regard shall be entertained also. All genuine and valid password reset requests from owners originating from member control panel shall be processed and completed. In case of any disputes, the FTP log and other system specific details shall be made available to concerned government authorities, if a proper request is received from concerned authority. The company can change its hosted servers at any time as per its necessary technical requirements and shall not be liable to update clients about such steps. Nor shall the company be under any obligation to notify clients about any technical emergency or server downtimes. Our SLA agreement of 99.99% uptime is applicable only to Network availability and it does not take into account elements like emergency downtimes and Hardware failure. V-Connect Customers may not initiate the following practices. V-Connect reserves the right to suspend or terminate accounts found in violation of these items with or without prior notice given and without liability. V-Connect reserves the right to determine what constitutes resource abuse and take the appropriate action. 1. Consume more than 50 MB of RAM. 2. Utilize in excess of 15 seconds of CPU time. 3. Number of open files should not exceed 64. 5. Number of simultaneous processes should not exceed 5. 6. Execute a script/binary that forks in a way to create a fork bomb. 8. Programs may not run in the background or listen on a network port. If you require a bot, service or daemon, you should consider a dedicated server, as very few shared web hosts allow this type of program. 1. All users are restricted to 15 concurrent MySQL/MSSQL connections. 2. Cannot run any MySQL queries longer than fifteen (15) seconds. 3. MySQL tables should be indexed appropriately. 4. Database servers should not be used as a hosted solution. Database access should only be used for the web site hosted by V-Connect.in. 5. Remote database access is for administrative purposes only. 6. Any particular database that violence/harm V-Connect.in's web servers or negatively impact other clients' service experience is strictly prohibited. V-Connect.in's own the rights and authentication power to suspend or terminate any database that abuse/harm V-Connect.in's servers. Files and Directories Limitation The limit of inodes in an account may not exceed 1,25,000. Every file whether it is a webpage, image, email, php file, directory, etc. on your account uses up one (1) inode only. This is not something we actively implement and it will only become an issue if a client is causing problems for other people on the server. We will surely notify you if full clarification is needed in any kind of issue. A directory cannot contain more than 2,500 immediate descendant files. This includes subdirectories themselves, but does not include files contained within those directories. 1. For any given instance of time, immediate IIS/Apache connections limits may not exceed 50 from one individual source. 2. Web processes should not split or spawn sub-processes. 1. A cron job should not execute more frequently than every once 15 minutes. 2. All cron jobs should be 'niced' or greater than 15. Domain Change: We cannot allow any change in hosting domain name. Logs Information No server logs can be provided for shared/ reseller hosting account services. Reselling Reselling is strictly not permitted on Shared hosting plans. If reselling is required, a reseller plan must be purchased. All the domains for a particular shared hosting account required to have single ownership. V-Connect.in holds the full right to suspend/terminate the shared hosting accounts that have domains with multiple ownerships. What Is a Process ? Processes are the execution of a command within the server that completes a specific task. An example would be accessing your email account and responding to a letter. This action is achieved through a series of processes that normally complete within moments of each other. The process limitation depends on the account hosting type. Shared and Reseller Shared and Reseller plans are limited to 25 simultaneous processes per cPanel. Most sites will work perfectly with a 25 concurrent processes limit. Processes open and close so quickly that they hardly ever overlap. If a user has between 15-19 IMAP processes running, our system automatically kills any process running over 5 minutes. If there are more than 20 IMAP processes running, our system will automatically kill any process running for longer than 2 minutes. Note: We not offer refund without any support/service related issue as you should provide a ticket id which not resolve by us within 72 hours of maximum time. In order for you to receive a credit on your account, you are required to request such credit within seven (7) business days after you experienced no Website Availability. You must request credit by raising a ticket with the billing department through member’s control panel. As a security measure, the body of this email message must contains your account number/domain name, the dates & times of unavailability of your website, and such other customer identification requested by V-Connect.in. Credits will usually be executed within sixty (60) days of your credit request. Credit to your account shall be your exclusive and sole remedy in the event that there is no Website Availability. Credits shall not be granted to you by V-Connect.in in the event that you have no Website Availability as a consequence of (a) Scheduled maintenance, (b) Your behavior or the performance or failure of your equipment/facilities/applications or (c) Circumstances beyond V-Connect.in’s reasonable control, including, without limitation, acts of war, any governmental body, sabotage, insurrection, embargo, fire, flood, strike, act of god or other labor disturbance, delay or interruption in transportation, interruption, delay or unavailability of telecommunications or third party services (including DNS propagation), failure of third party hardware/software or inability to obtain raw materials, supplies or power used in or equipment needed for provision of your website. V-Connect.in forbids the use of scripts or software run on its servers that cause the server to load beyond a reasonable level, as determined by V-Connect.in. You shall at all times use the services as a conventional and/or traditional web site Particularly by way of example and not as a limitation, you shall not employ our services as a storage or instrument for storing or placing archived files and/or material that can be downloaded through other web sites. Our Affiliate program is free to join, it's easy to sign-up and requires no technical knowledge. Affiliate programs are common throughout the Internet and offer website owners an additional way to profit from their websites. Affiliates generate traffic and sales for commercial websites and in return receive a commission payment. Formore information s to how it works, please visit: https://www.V-Connect.in/affiliates/index.php, which provides upto date information. a) Customer shall pay all applicable fees/advances as per the Payment Terms and Conditions set out along with respective products and services. Please note, the payments are to be paid in advance for renewable services such as Domain Names, Website Hosting, etc. 7. Any third party solution that you buy with V-Connect.in's reference. Note that the 30 day period ends exactly 30 days from the day on which account was originally activated (not the day the order was placed). It is not valid towards account renewals. External services or third party services, such as but not limited to, dedicated IP addresses, installation charges, third party softwares, administrative fees, install fees for custom software or other setup fees, or to any fees for any other additional services, etc are non-refundable. All bank charges, applicable taxes and a reasonable processing fee will be deducted while processing any refunds. All Refunds and Reimbursements will take up to 30 Business Days from the date of receipt of the request, to process. The refunds will be made available in the client area. * Refunds not apply on renewals. * Refunds not apply on monthly, orders. This guarantee is VOID if your account violates our service usage guidelines. The accounts cancelled/terminated by V-Connect do not qualify for the 30 day money back guarantee. This also includes accounts suspended for TOS violations, in which the customer decides not to fix the violation. Kindly note, only first‐time accounts are eligible for a refund. For example, if you've had an account with us before, cancelled and signed up again, you will not be eligible for a refund or if you have opened a second account with us. c) V-Connect will, subject to the above, charge a non-refundable fee for an Order unless stated otherwise in any Specific Product Agreement. The applicable fees will be displayed in the Customer Control Panel or on the V-Connect Website and during the Ordering Process. V-Connect has the right to revise this pricing at anytime. Any such revision or change will be binding and effective immediately on posting of the revision in the Customer Control Panel or on the V-Connect Website or on notification to the Customer via email to the Customer. d) Customer acknowledges that it is the Customer's responsibility to keep records and maintain reminders regarding the expiry of any Order. Though as per policy, we do issue reminders to the Customer of any expiring Orders in advance, via an email message sent to the contact information associated with the Customer in our database. You agree that until and unless you notify V-Connect of your desire to cancel any or all services received, those services will be billed on a recurring basis. V-Connect reserves the right to change the monthly payment amount and any other charges at anytime. e) Customer acknowledges that after expiration of the term of an Order, Customer has no rights on such Order, or any information associated with such Order, and that ownership of such Order now passes on to V-Connect. V-Connect and Service Providers may make any modifications to said Order or any information associated with said Order and may choose to monetize such requests in any fashion at their sole discretion. And also may choose to delete or transfer said Order at anytime after expiry upon their sole discretion. Customer acknowledges that V-Connect and/or Service Providers shall not liable to Customer or any third party for any action performed under this clause. f) V-Connect at its sole discretion may allow the renewal of the Order after Order expiry, and such renewal term will start as on the date of expiry of the Order, unless otherwise specified. Such process may be charged separately. Such renewal after the expiry of the Order may not result in exact reinstatement of the Order in the same form as it was prior to expiry. g) All invoices must be paid within ten (10) days of the invoice creation date. Any invoice that is overdue for more than seven (07) days may result in the suspension or termination of Services. Access to the account will not be restored until payment has been received. If you fail to pay the fees as specified herein, V-Connect may suspend or terminate your account and pursue the interest thereon, collection costs (minimum of Rs 1500) incurred by V-Connect, including without limitation, any arbitration and legal fees, and reasonable attorneys' fees. V-Connect will not activate new orders or activate new packages for customers who have an outstanding balance on their account. h) Dedicated servers are subject to being reclaimed and all content deleted if you fail to make a timely payment. If you make a late payment we do not automatically reactivate the dedicated servers. Contact V-Connect directly after you make a late payment to reactivate the dedicated server. i) You have thirty (30) days to dispute any charge or payment processed by V-Connect. If you have any questions concerning a charge on your account, please reach out to our billing department for assistance. Service Rates - Customer/Subscriber acknowledges that the nature of the service furnished and the initial rates and charges have been communicated to customer/ Subscriber. Customer/Subscriber is aware that the Company may prospectively change the specified rates and charges from time to time. The promotional offer is contingent upon Company achieving and maintaining its cost of service goals including but not limited to rates charged to company by its suppliers. (g) In such other circumstances as V-Connect may reasonably determine. V-Connect shall inform Customer as soon as possible of such suspension. (d) In such other circumstances as V-Connect may reasonably determine. (ii) continue performance of Services if V-Connect deems such continuance to be appropriate. V-Connect.in is not responsible for any kind of data loss due to this issue. Notwithstanding the foregoing, in the event of default in payment obligations by the Customer, the Customer shall not be entitled to claim Service Level Credits as set out in the SLA during such period of default. In the event of suspension of the Service for the reasons as specified in this clause, the Services shall be reactivated upon payment of Rs. 5,000 by the Customer to V-Connect. (b) as a result of V-Connect being unable to provide Services due to reasons not attributable to Customer, Customer shall be entitled to Service Level Credits as set out in the SLA. However, in the event of suspension of Services for the reasons as provided herein-above, Customer shall not be entitled to Service Level Credits as set out in the SLA. 8.5 Customer agrees and acknowledges that in the event of suspension of Services for the reasons as specified in Clauses above, Customer shall be responsible for all fees and charges for the Services incurred through the date of suspension. Customer understands that V-Connect’s aforesaid right to suspend is in addition to its right to terminate under this Agreement. 8.6 In the event suspension of Services is for the reasons specified in Clause 8.3, V-Connect will not guarantee and will not be responsible/liable for availability of the data and files of the Customer after such suspension. V-Connect shall not be held liable for any loss of data, content or files of the Customer upon such suspension. 10.1 To be able to buy any products or avail any of the services offered by us, you need to be competent to contract as per the Indian Contract Act, 1872, which excludes minors, i.e. persons below the age of 18 years, persons of unsound mind and undischarged insolvents. 10.2Further you confirm that any court, tribunal or any adept authority does not prohibit or impose any kind of restriction/conditions/order to enter this agreement or online services of nature and function similar to ours. 10.3 You also confirm that your are not violating any applicable law by entering this agreement. We reserve the right to terminate your services and refuse to provide access to the Site in case of any such violation. a) To provide true, accurate, current and complete information about yourself in the registration form (such information being the "Registration Data") and regularly maintain and promptly update the Registration and also Domain WHOIS Data to keep it true, accurate, current and complete. b) To use the services only for the purpose that are permitted by the aforesaid Agreement and any applicable law, regulation or generally accepted practices or guidelines in the relevant jurisdiction. c) That you will be solely responsible for any breach of your obligations under the terms and for the consequence of any such breach, including any loss or damage, which we may suffer as a result and that we cannot be held responsible to you or to any third party. d) That your account and the activity under it are subject to review from time to time by us. On the basis of the internal report, your account or access to any services or products may be blocked or may become subject of deletion if found to be objectionable, obscene or offensive, without any prior notice to you. f) That you agree to maintain a backup copy of all content hosted by V-Connect notwithstanding any agreement by V-Connect to provide any backup services. Also you need to keep upto date the scripts/code used upon the website for all times and for any exploits in the script, you will be solely responsible to compensate V-Connect. g) That you agree that you will not solicit passwords or personal identifying information for any purposes from other accounts or try to hack into the server in any manner. h) That you agree to grant the rights to us to reveal your identity (or any other related information collected on this service) without your consent, if required by law or in case of any legal action or complaint arising from any situation caused by your use of this site. Further, in exercising this right, we may ask you to provide any documentary or other form of evidence supporting the Content you post on the Site. If you fail to produce such evidence, we may, in our sole discretion, terminate your services without notice. ix) threatens the unity, integrity, defence, security or sovereignty of India, friendly relations with foreign states, or public order or causes incitement to the commission of any cognisable offence or prevents investigation of any offence or is insulting any other nation. 1. Search Engine Optimization (SEO) farms or similar are strictly forbidden on V-Connect.in's servers and networks. SEO farms create undue strain and resource abuse on any given server and affect all clients. 2. Banner rotation services and link exchange networks are not permitted. 3. Offering Image, File, Document and Data storage (.jpg, .png, .mp3, .wav, .exe, .zip, .rar and any other archive file), and free hosting and email services are strictly prohibited. 4. Off-site media storage is not permitted. 6. Running a proxy or anonymizer, whether publicly accessible or protected, is not permitted. 7. Prime bank or bank debenture-related sites, lottery sites, muds or online RPGs, hate sites, hacker-related sites, sites promoting illegal activity, IP scanner or other hacking tools, mail bombing or spam scripts, or forums and websites that distribute or promote warez content are expressly forbidden. 8. BitTorrent applications, trackers, and clients as well as any file-sharing/peer-to-peer activities are not allowed. 9. The operation of gaming servers (such as but not limited to Minecraft, Counter-Strike, Half-Life, battlefield1492) are forbidden. 10. Web spiders and indexers are not permitted. 11. The abovementioned services / web content create undue system load on our servers and should only be run in a dedicated server environment. All violations will be shut down immediately and may result in account suspension and/or termination. 12. Fake hits through API, single IP or other malicious sources will not be entertained. 13. Any attempts to undermine or cause harm to a V-Connect.in Internet Solutions server or customer of V-Connect.in is strictly prohibited. 14. The client is solely responsible for the content or data hosted at his/her website/server. He/she will be directly responsible for any legal action that may arise due to content hosted at his/her website/server. 15. Spamming is strictly prohibited. Users may not send unsolicited or abusing e-mail messages, including, without limitation, bulk commercial advertising or informational announcements ('spam') in a way that could be reasonably expected to adversely impact the V-Connect.in's Network, including, without limitation, using an e-mail account on V-Connect.in's network to send spam or bulk e-mail, or using the service of another provider to send spam or to promote a site hosted on or connected to the V-Connect.in's Network. (7) Offering for sale or soliciting e-mail lists for the purposes of bulk e-mail. V-Connect.in is not responsible for any kind of data loss that may occur due to blacklisting of IPs due to mass or bulk mails, We can suspend account any time due to mass mailing. Otherwise transmission, storage, distribution or presentation of any Content in violation of any and all applicable laws is prohibited too. In case any violation of either terms or Law of the land is discovered, we may suspend the service(s) and immediately initiate an investigation either internally or through any Government Agency, depending upon the circumstances of the case. We may, at any and all times, in our sole and absolute discretion, during such an investigation, restrict your access in order to prevent any further possible unauthorized activity. Depending on the severity of the violation, we may, at its sole discretion, restrict, suspend, or terminate a any service(s) and/or pursue other legal remedies. You agree to grant the rights to us to reveal your identity (or any other related information collected on this service) if required by law or in case of any legal action or complaint arising from any situation caused by your use of this site. In exercising this right, we may ask you to provide any documentary or other form of evidence supporting the Content you have stored/transmitted through V-Connect server / service. If you fail to produce such evidence, we may, in our sole discretion, block/terminate your access without notice. V-Connect may also randomly monitor the user hosting accounts. Any such monitoring is done for evaluation purposes by supervisors and all the information is kept confidential. This is solely done to guarantee the highest level of service and to ensure accurate information is provided in a professional manner and may also help to detect any violations as stated above. To ensure users receive the highest possible level of service, V-Connect may randomly monitor the client servers, applications and running services. Any such monitoring is done for evaluation purposes by supervisors and all the information is kept confidential. This is solely done to guarantee the highest level of service and to ensure accurate information is provided in a professional manner. In case of any Grievance with respect of any V-Connect services, Customer has the option to report the content, to the Grievance Officer, whose details have been published hereunder. You can obtain assistance with any technical difficulty that may arise in connection with user's utilization of the V-Connect Services by requesting assistance via email to info@V-Connect.in. We reserve the right to establish limitations on the extent of such support, and the hours at which it is available. Please do not provide your perceptive information to our agents/executives etc like login details, passwords, banking info etc on Skype Chat or socially oriented chat. You may also not make any commitments on Live chat. All such commitments, disclosures and interactions with our team would solely be at your own venture and V-Connect.in do not deem valid or vouch for the authenticity of all such interactions. V-Connect.in recommends that for all complex and advanced issues customer duly raise a ticket by logging into their member control panel and ask your issue till you don't get full satisfaction. You are responsible for obtaining and maintaining all telephone, computer hardware and other equipment needed for its access to and use of the V-Connect Services and users shall be responsible for all charges related thereto. Support Abuse Policy - We always treat our customers with the utmost respect and expect the same from you too. If our staff feels that you are consistently addressing them in a demeaning or rude manner, your account may be suspended and you may be asked to take your business elsewhere. In the event that we terminate service for support abuse, customers will be given ten (10) days notice to find a new host. A pro-rated refund may be issued on a case-by-case basis. 1) By giving a 30 (Thirty) days notice of termination delivered or you may simply get your services/product subscription terminated at any point with or without cause by writing to us at info@V-Connect.in. 2) With immediate effect, if the other Party is adjudged insolvent or bankrupt, or if proceedings are instituted by or against a Party seeking relief, reorganization or arrangement or compromise or settlement under any laws relating to insolvency, or seeking any assignment for the benefit of creditors, or seeking the appointment of a receiver, liquidator or trustee of a Party's property or assets or the liquidation, dissolution or winding up of a Party's Business. 1) In case of non-compliance with the Agreement and it’s Annexures, rules and regulations or the Law of the Land, V-Connect reserves the right to immediately terminate the access or usage rights of the users to the services and also remove non-compliant information. 2) In our sole discretion, may terminate the account/password or use of any or all of the services, for any reason, including, without limitation, for improper use of any service or if we believe that you are not eligible to avail the services. We may also in our sole discretion and at any time discontinue providing the Service, or any part thereof, with or without notice. 3) If you had provided any information that is untrue, inaccurate, not current or incomplete at the time of registration, or we have a reasonable ground to suspect that such information is untrue, inaccurate, not current or incomplete, or not in accordance with this Agreement, we have the right to indefinitely suspend or terminate your services and refuse to provide you with access to the Website. a) The Terms of Agreement and the relationship between you and us shall be governed by the laws of India. The Courts of law at New Delhi, India shall have exclusive jurisdiction over any disputes arising under this agreement or other related issue arising out of the use of this site or related services. Our failure to exercise or enforce any right or provision of the Agreement shall not constitute a waiver of such right or provision. b) If any provision of the Agreement is found by a court of competent jurisdiction to be invalid, the parties nevertheless agree that the court should endeavor to give effect to the parties' intentions as reflected in the provision, and agree that the other provisions of the Agreement remain in full force and effect. c) Customer agrees that regardless of any statute or law to the contrary, any claim or cause of action arising out of or related to use of the Service or the Agreement must be filed within one (1) year after such claim or cause of action arose, or be forever barred. d) Customers/Visitors who choose to visit these websites from other jurisdictions do so on their own initiative. Those visitors are solely responsible for compliance with all laws, rules, and regulations, union, state, and local or foreign, applicable to the use of this website and information, content, material and services contained herein. e) The section titles in this Agreement and annexed documents are for convenience only and have no legal or contractual effect. a) Subject to the provisions of this Agreement, each Party will continue to independently own his/her/its intellectual property, including all patents, trademarks, trade names, domain names, service marks, copyrights, trade secrets, proprietary processes and all other forms of intellectual property. Any improvements to existing intellectual property will continue to be owned by the Party already holding such intellectual property. b) Without limiting the generality of the foregoing, no commercial use rights or any licenses under any patent, patent application, copyright, trademark, know-how, trade secret, or any other intellectual proprietary rights are granted by V-Connect to the Customer, or by any disclosure of any Confidential Information to the Customer under this Agreement. c) Customer shall further ensure that by availing of any website services, he is not infringing upon any intellectual property rights or other rights of any person or entity, or does not publish any content that is libelous or illegal while using services under this Agreement. Customer acknowledges that V-Connect cannot and does not check to see whether any services or the use of the services by the Reseller under this Agreement, infringes legal rights of others. d) Without limiting the foregoing, copying or reproduction, for redistribution or other purpose, of the web site or any part thereof to any other server or location, including caching of any kind is expressly prohibited. e) Unless you have been specifically permitted to do so or have a separate agreement with us, you agree that you will not use any trademark, service mark, trade name, logo of any company or organization in a way that is likely or intended to cause confusion about the owner or authorized user of such marks, names or logos. f) In case of any notice received under DMCA or otherwise for Intellectual Property violation. V-Connect reserves the right to remove the content with or without issuing any notice to the Customer, depending upon the seriousness of the matter. The appointed officer shall acknowledge the complainant within 36 hours and resolve the matter within 30 days in terms of the Information Technology Law and Shreya Singhal V Union of India (2015). b) You give Provider notice of such link by sending an e-mail to us and you discontinue providing links to this Web Site if requested by Provider. a) Any notice or other communication required or permitted to be delivered to V-Connect under this Agreement shall be in writing unless otherwise specified and shall be deemed properly delivered, when sent to our contact address specified in the Customer Control Panel or on the Parent Website by registered mail or courier. Any communication shall be deemed to have been validly and effectively given, on the date of receiving such communication, if such date is a Business Day and such delivery was made prior to 18:00 hours local time, and otherwise on the next Business Day. 4.	terminate your use of services if Your use of services results in, or is the subject of, legal action or threatened or proposed legal action, against V-Connect.in or any of its affiliates/partners, without considering for whether such legal action or threats or proposed legal action is eventually determined to be with/without merit; and terminate Your use of services at any time and for any reason if deemed reasonably necessary by V-Connect.in. This Agreement constitute the entire agreement between the parties with respect to the subject matter hereof and supersedes and replaces all prior or contemporaneous understandings or agreements, written or oral, regarding such subject matter. The Agreement shall be governed by the Laws of India. a) V-Connect assumes no responsibility or liability from any loss incurred by any information presented upon the website, services or advice thereof rendered through it. Customers using the services herein are solely responsible for their actions. As we do not warrant the accuracy, completeness, or usefulness of any information presented therein. User expressly agrees that use of the service is at user's sole risk. b) V-Connect shall be not responsible or liable for the authenticity, accuracy, completeness, errors, omission, typographical errors, disruption, delay in operation or transmission, communications line failure, interruption or malfunction (including but not limited to any kind of technical aspects), deletion, defect of any information, reports, service stops functioning due to technical problems, certain features not functioning at any point in the web site or any part thereof. Further, you agree that any material and/or data downloaded or otherwise obtained through the use of the service is done at user's own discretion and risk and that user will be solely responsible for any damage to user's computer system or loss of data that results from the download of such material and/or data. c) V-Connect is not liable for any result that may arise from your contact, communication in any form, coordination, relation or transaction; either with advertisers, sponsors, other websites or any resources that may be hyperlinked or any third party, and you are liable for any contract/term that may or shall be established by you, with these third parties, advertisers, sponsors, other websites or resources that may be hyperlinked in the web site or any part thereof. d) V-Connect has no control over other website or resources which are provided by companies or persons and is not liable for any loss or damage which may be incurred by you or by your use of service to any third party as a result of the availability of any information contained on site or external sites or resources or any advertisement or hyperlinks, etc. in the web site or any part thereof. e) V-Connect cannot guarantee that the information submitted to, maintained on, or transmitted from our systems will be completely secure and transmission of information over the Internet is susceptible to possible loss, misrouting, interception and misuse. f) V-Connect is not responsible for files and data residing on your account. You agree to take full responsibility for files and data transferred and to maintain all appropriate backup of files and data stored on V-Connect servers. V-Connect will take full backup of your Shared Hosting Account / Cloud Server/ Dedicated Server on a weekly basis and move it to our centralised backup storage repository on a good faith basis but cannot be held liable in case of any corruption of data during backup and transmission. g) V-Connect takes multiple precaution to prevent abuses from the weak code/scripts uploaded by the Customer but if the same is still exploited, V-Connect is not responsible for such abuses and we have the right to disable/terminate such accounts/websites, if the malware is not removed from the clients end. 1.	we make no warranty on any results obtained by the use of the service. 2.	we make no warranty on accuracy or reliability of any information obtained by the use of service. 3.	we make no warranty that the service will meet your requirements. 4.	we make no warranty on any technical defects in the website will be corrected. 5.	we make no warranty that the service will be persistent, timely, secure, error free. 6.	we are neither responsible nor liable for any result that arises due to the use of service by any user or content posted or transmitted through the site by any user. 7.	we do not assume any responsibility or liability for any illegal communication or Content posted or transmitted on the Site by any Customer, or any third party. All liability, whether civil or criminal arising out of any Content that is hosted or transmitted through the servers (including but not limited to messages / communication of electronic or any other means) will be of that Customer / third party who has Hosted such Content or communicated / transmitted such content or information. We reserve the right to claim damages from such Customer / Third party that it may suffer as a result of such Content Posted on the Site or transmission of information through communication of any kind. If you are in Do Not Disturb (DND) subscriber list with any telecom operator / authority / organization you need to intimate us. Further, you agree that you have no objection in receiving any messages by any means. We are not liable to any third party if it receives any kind of message / information (under any circumstances) by any customer using the service; even if you are in Do Not Disturb (DND) subscriber list, the sender / customer is solely responsible and liable for the delivery of message / information which is generated by him. e) any other matter relating to the service. f) the deletion of, corruption of, or failure to store, any content and other communications data maintained or transmitted by or through your use of the services. You agree to indemnify and hold us and (as applicable) our parent, subsidiaries, affiliates, officers, directors, agents, and employees, harmless from any claim or demand, including reasonable lawyer's fees, made by any third party due to or arising out of your breach of the Agreement or the documents it incorporates by reference, or your violation of any law or the rights of a third party.